It is part of the bargain struck between celebrities and the news media, where face time and a few juicy first-person revealations are traded for a starring role. 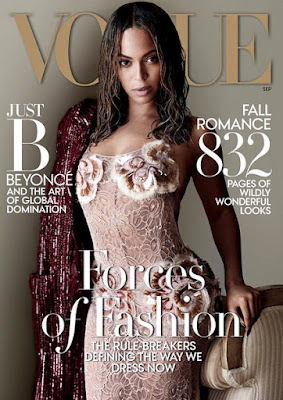 But inside Vogue's September issue, Beyoncé says not a word. "She's been able to reach this level of stardom in which she's manage -- in a way that I really think is unique even among other black women entertainers -- hyper-visability and inaccessibility simutaneously," Professor Brooks said. With so many celebrites being misquoted and having their works chopped and screwed by all forms of media, I think that this is the most genius thing a celebrity has done. To literally NOT answer any direct questions in over a year is definitely a power move. These are just my opinions and I am by no means a Beyoncé stan, but much respect to Bey.